Two 20-somethings deal with the challenges of life in the unemployment capital of Canada. Poorly. Mike and Adam take you on a tour of the city that inspired Jobless and discuss their involvement in the local community. Really well put together; you fit a lot of great stuff in with the time given. Bonus points that dude in the glasses is kind of a babe. We'd like to think this one speaks for itself. The Jobless team co-hosts the wildly popular "24 Hour Project" held at the Gordon Best Theatre in downtown Peterborough. This massive collaboration brings together some of the community's greatest theatrical talent to produce five one-act plays, each written, rehearsed and performed in the span of twenty-four hours. Series stars Mike and Adam will be performing as part of the project, co-hosting the fun-filled event, and also rolling around a barrel to collect food donations for a local food drive. Best wishes to the top 55 contestant winners and congratulations on having your efforts recognized in this CBC Comedycoup contest. Good Luck to those making the top 15. Good luck, guys! I am still laughing about the job interview segment! Nice Peterborough area background. A humorous slant to an serious problem. Great Work! Funny concept and definitely lots of potential! Keep up the great work:) Very Creative! What a well produced video. The exposure for the highlights of Peterborough is excellent and the actors are forthright, easy to understand and FUNNY. good luck. Seems like a topic that would have a pretty mass appeal. Unemployment is an epidemic right now, and maybe people would enjoy laughing about it. Best of luck, I'll be rooting for you. Very funny stuff guys. I hope to see more funny stuff like this in the future. The cast is funny and the comedy is just great. Good Luck with everything. This was very funny as most of your stuff have been. Congrats on making the top 55 and good luck in the rest of the voting. Wishing you the best in the competition, your good friend Sharon. Great work,I found the episodes very funny. I wish the battery factory promised by your now former MP,had become a reality so you would not still be jobless! Jobless is such a great name for your show. And such a common denominater for us all. What a great premise. Always like humour that touches base with reality. Hopefully if you are successful you can also take a few jabs at the current government and maybe help to get the young vote more involved. Apathy is everywhere and is closely linked to those that are supposedly "leading" our country. Good luck. This one will appeal to the many twenty somethings out there who are jobless. I am interested because I have kids in that jobless demographic and would be interested to look into the world they inhabit with their friends! Who knows. If everything goes really well you may get a job! Good luck. Quite the competition from the east to the west coast and such an excellent group of participants makes it hard to pick just 15. I hope CBC gives you each a coffee mug or something for getting to the top 55. Best wishes to all. Congratulations on making it to the Top 55! Creative team, interesting concept. It’s tough to come up with solid product each week so kudos for your hard work. Best of luck moving into the top 15. Proud of our Peterborough boys!! Well the final hours of the vote to get to the next level are approaching now so it is up to the voters now to get you there. Best wishes to you for success and nice work on getting through to the top 55 for all those able who were able to get that far. Definitely something alot of Canadians can relate to, and something that isn't talked about enough. The fact that you can bring it to light in a funny and clever way is great! Good luck! Hopefully you won't be jobless for long, congrats on making the top 55. Wondering if your humor will relate to those who have jobs or those who don't ... I guess most have been jobless at some point. I love the comedy spin on such a huge issue in Peterborough. This would be an AMAZING show !! I disagree with Justin L. I think this idea is highly relevant to this generation. There are tons of people in that situation so they would relate to it. Good Luck! It seems like sort of a weak idea (20-somethings who don't have jobs. Snooze. ), but the guys are pretty affable. And some of the clips from the show in this showed great promise. I particularly liked the image of a guy running out of a barber shop with the 'cape' still on. Good luck to you this week! Lots of tough competition out there. May the best teams win. Congrats on making it to the top 55 and good luck again in the top 15! Nice job, guys. Serious subject matter for a comedy, but you might be able to pull it off, judging by the quick clips towards the end. Actually, I would have liked to see more funny bits - laughs are the best hype of all! Thanks, Gary! Check out our other week's videos and www.youtube.com/MikeAdamJobless for more videos (and longer ones)! This show has great comedy potential; I really like the new spin you are putting on established TV tropes and am looking forward to what more you can come up with! You boys explained yourself very well! And it was funny! Top Marks!!! Knowing Peterborough like I do, I know there's a lot of joblessness, so you're bringing great awareness to the problem, and doing it in a humorous way!!! Love, Gayle!!!! i think i would have enjoyed this more if there was a little less yelling. i also like the charitable aspect of your show. i should make my son watch this he is jobless too maybe he can work for you hahaha. but seriously it is really funny stuf here i was laughing out loud the whole time! I love that your show also has a charitable purpose. The film work on it looks good too and I'd be interested in seeing a show like this. Nice one! These guys really seem to know where they're coming from (both geographically and situationally), and I support this. I actually don't know how I could NOT support this! This is an issue that everyone's faced at some point in their life, and I'm glad that someone is both shedding light on the situation, as well as making light of it! I'm going to be honest: I am in love with this show. And I am in love with everyone in it. I'm hyped outta my mind, man. An interesting idea and a very topical topic but it doesn't seem very funny, as a 20 something with a hard to find job i don't want to be reminded of it and I don't want to laugh about it. It's just not funny enough for me. Nice, simple relatable concept. Seems like you guys have a solid, grounded idea of where the show will go. Excited to see where this one goes. Keep going Jobless-ers! Well, this is certainly a reality for absolutely too many people out there! No names mentioned here....Liked seeing a little bit of Peterborough, too. I think you could have had a little more pizzazz to hype it. Here a job there a job oh me oh my. I can see it now, the job from Hell show cased , or the job with the best looking ladies, but the jobs are temporary and not very financial rewarding, but there could be perks. Are there any perks being JOBLESS? You bet. Well I for one am hoping to see them. Pretty good but there is lots of competition out there!!!!!!!!!!!! Lots of other competitors competing against everyone in the competition!!!!!!!! Good luck to you and everyone!!!!!!!!!!!!!!!!!!!! Seems like a show thats been done before (The simpsons already did it) but I like your persistence Dont know if itll hit that big of a target market though. Still wish you the best. Obviously another win for team Jobless. What do I do with my carload of dead geese? Geese stew? I have lost my train of thought. Another small town heroes trying to make it big. I feel like this is a continuous theme throughout top 55. Its a good concept but once you've seen 12 similar shows, you really have seen them all. I guess we shouldn't tell everyone about all the geese Adam straight up killed by running at them before we figured out that a slow, sneaky shuffle was both a more effective joke, and also significantly more legal. Well structured with an interesting possible story line. It would have been better with a clearer identification of the characters that they plan to provide should they be able to proceed with the production as the successful competitor. Thye migh also have pointed out more clearly how this humour might apply to all rural communities and small towns in Canada. Good potential! I believe the hype! I feel like you have opportunity to make this very funny, it's just not a hundred percent there yet. It is relatable to a lot of artists out there who are working their tuckers off to gain employment, so there definitely is an audience. So keep working hard boys! It's a delicate balance, as sometimes shows that deal with important issues just remind people of problems that they are trying very hard to be apathetic about, and are even watching TV to actively avoid thinking about! But comedy is the key, so success will really depend on presentation. Good luck! There is comedy to be found in this topic, can't tell from the first video if you have found it. So perfect. Poor Peterborough :) I say you got some funny going on here! Good luck in the Top 15! Funny concept you got going on here. I hope to see you guys get further in this competition as your material seems very clever and unique. LOL! you guys are growing on me, you are great. I also thought this video was great. You are so engaged and so real. You must really be without a job, because it looks so real. Thank's for the good laugh; keep it up! Great idea you have here, it's good and renewable, funny I didn't notice a lot of these project earlier but now I can see why they made it. Glad to here about the food donation. Well done with this video and I enjoy the scenery as well - love the Canada shorts. Congratulations on making it to the top 55, lot of competition out there and good luck to get into the top fifteen. Good job on this video! The concept is original and the videos are all funny. Congrats on making the top 55 and best of luck! You did a good job hyping it up with this video. I really get a sense of what your show will be about and I like it! Very civic minded to ask for food bank donations! Well done and good luck in the next voting elimination! your personalities and charm came through in this video, you're very likable and the concept is of course all too universal! Best of luck! I really like the quality of your sell sheet! Seems very in tune with the overall vibe of the show. So good. I was able to feed my many, many dogs while watching and paying attention to the video the whole time. good job on this weeks challenge. Congratulations on making it this far and I look forward to seeing more. keep on going! this idea is really good. I think a lot of young people today can relate to it and I think they would tune in. You guys are talented and hard working I wish you the most luck. Really enjoyed your storyline. I can really relate to Peterborough because I'm from small town Eastern Ontario. Keep up the good work. Hope you make it into the top fifteen! Very realistic. I like how true the storyline is. $0.00 in your bank account, no job..
You guys are funny! I like the concept of this show. It was great to hear more about your town and your involvement there. Good luck with Top 15! good job this week. you did a great job of showcasing your show and yourselves. If i were the media i would want to cover you guys and your awesome idea. good job! Ha, I love the very Canadianess of it, being centred on Peterborough of all places. The showcasing of landmarks was a great touch and you both came off as very charming and fun. I liked it. Having grown up in small town Ontario, it had an authentic feel to me and the guys are appealing but I'm not sure if the show is about looking for jobs or moaning about not having them. 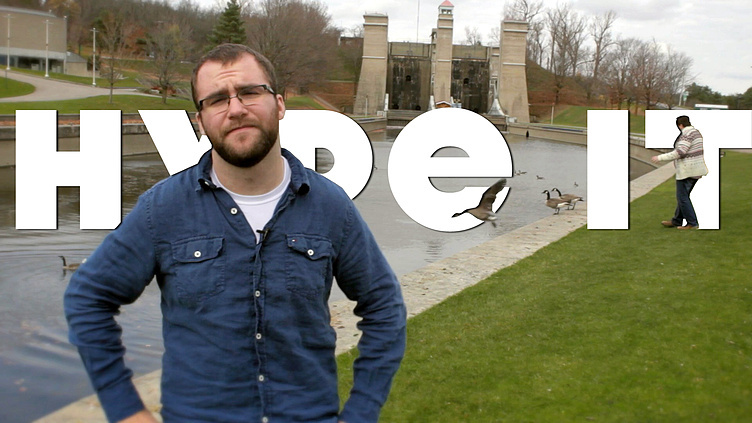 congrats guys for a really good 'hype-it'. it was hilarious and very well done. it is a good idea to tackle social issues as homeless, especially in an urban setting. i like your down-to-earth attitude. good luck and i hope you go to the top 15. I like you guys; genuine and funny. 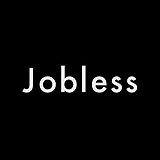 Jobless, all of us can relate to that at some point in our lives. So, this video could end up real funny in a real world. Hope your event turns out a success. Mike and Adam are likeable guys and delivered the info about the show effectively. Joblessness as a basis for a comedy show is just a hard sell for me. Being "jobless" just isn't a situation that makes me laugh. Lotsa information packed into the short time frame, I agree with Patrick C., I feel like we're watching the show develop more and get better and more fleshed out each week. Nice tag there at the end haha, Good concept and although difficult without any money you have a good light tone, if chosen I hope you get a good designer and create a unique feel for the project. I really liked this video. you guys are very down-to-earth and easy to watch on screen. you are talented and have a really good idea here. keep working on perfecting it and I hope you continue to make us all laugh. This is funny. The idea is real and makes us laugh for the moment. I think we all need to take a step back at bad situations and have a good laugh to make us feel better. Kudos on bringing something real to the board. Good luck and hope you can turn a bad issue into something better. Congratulations making it to the top 55 in comedycoup and good luck moving forward as they decide the top 15. You guys already have your show. You don't need to do this contest to do it. Good luck and congrats in making it so far. This is one of the most relatable projects in the competition. It tackles a huge issue that this generation of young people is facing right now. Good luck to you guys. Hope you make it to the top 15. Great video! Love the admission to your event idea. You guys did an awesome job explaining your show in a clear and funny way. All the best in the rest of the competition! I love the less-than-obvious jokes like the 'somebody on Youtube' bit. Good job on the video, you guys are really funny! good job you guys. You have proven more and more likeable every week. You do not come across as conceited but as hard working, talented guys that want your awesome idea seen. Keep working hard. This show is probably the best example of seeing a show develop before our eyes. Each video has been building and building on what (at first) seems like more of a lack of an idea than an idea. But now you guys have done some impressive work and this is a show I would like to see on TV. I'm so hyped now. You guys rock, Peterborough needs you, and so does the CBC. I'm earning all my Badges so I can vote for you guys and get you into the Top 15! You two seem like a great pair. I hope you succeed in this competition so you no longer have to be jobless. It's very nice that you are also giving back to the community. Nice job of tying together a humorous look at a real social problem with an effective and entertaining media pitch that explains exactly what you are up to! I haven’t watched your videos until now but I really liked this week’s video! I like that you’re drawing attention to a real problem your city is facing and using your momentum to collect donations for the food bank is a great idea. Good luck making the top 15! I appreciate how you make each video look effortless and real. I think there is a mass appeal to the topic and the content. Great job keeping it clean and funny. Keep up the great work. You guys did a great job at this Mission! Mad Props from Team Charlie and Yoni! Great video, I thought it was very clear and concise as to what your show is all about. Also congratulations with all the press footage, (all the articles and interviews). And lastly, I think it is very charitable as to what you are doing for your event, great work guys! Great job guys, I'm so glad you've made it this far! It's certainly an issue across the province right now. The sell sheet is fantastic & the video is slickly made. Nothing "dry" about this, good work fellas. You're brimming with small-town Canadienness, which works in your favour for this competition, and I mean that as a complement. You're socially conscious, you're charming, and if you continue your charitable initiatives, you've really got something. Hopefully you can get the media exposure necessary to progress to the next round, though you've done well so far. Man, watching this is inspirational. I could almost write six episodes right now (don't ask for 7, that's too lucky for a ptbo job search). I did realize something, if this team gets $500k that's going to be a HUGE boost to the Peterborough economy. Seriously, I've looked at wages in that city and they are something like 50% of what you'd get anywhere else in the country for the same job. I hadn't watched any of your videos yet but this was really well done! Clear and concise, but also pretty silly—a good combo. Will be going back to check out some of your other missions. Love the sell sheet, too. Great radio clip at the end! Sincerely, the girl in the radio clip. We'll have to work with her more in the future. I love the concept, funny and relevant. I just wish the production value was a little better. My favourite part of this week's video is how it reaches me on emotional levels I didn't think I even had. Anymore. After the surgery. This show is a great concept and is really funny. The clip was clear and did a great job of creating hype. It's a very relevant topic to many in our whole country, not just in Peterborough, not. lol I like the video. You guys are relatable and quirky. The sell sheet is eye catching as well. We're actually glad it was a little dry, Michael! The forecast was for rain that day! What kind of babe are we talking about here, exactly? Like "Babe: Pig in the City" babe? Kind of? He's definitely a babe. Having lived in Peterborough for a few years, it's super easy for me to relate to this project. The only jobs I held while I was there were terrible. The small-ish town charm will definitely add to this show, and I think it would be neat to see something shot in a neighborhood I'm familiar with. Best of luck going forward!